After Hurricane Thomas struck the island in 2010 the dams capacity was great compromised by 1.1 million cubic meters of silt. Dreding of sediments from the reservoir will increase the dams water capacity. Tens of thousands of Saint Lucians are expected to finally have access to a reliable and safe supply of drinking water, following the launch of two milestone projects on the Caribbean island. Officials of Saint Lucia’s only water company WASCO, along with representatives of the government and the Caribbean Development Bank, have broken ground on two projects they say will provide a reliable and climate-resilient water supply to over 100,000 nationals. 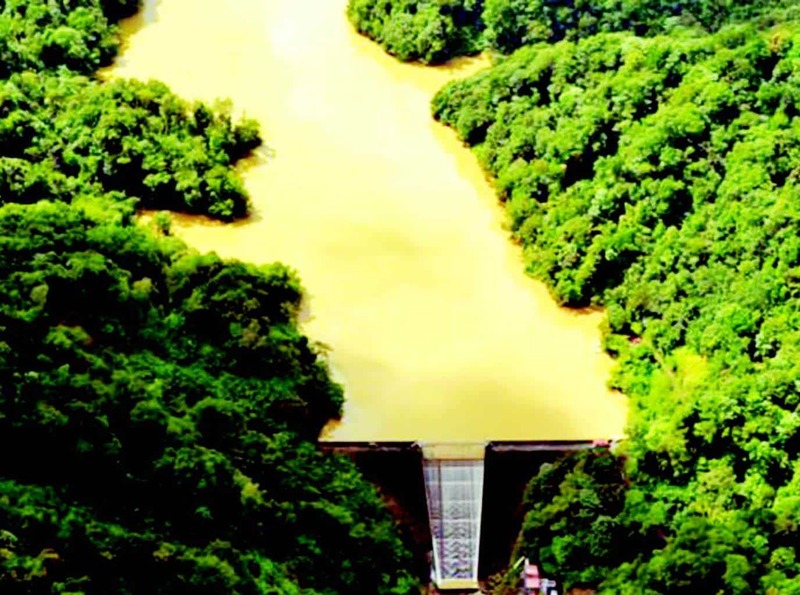 Residents are hoping the John Compton Dam Rehabilitation Project and the Vieux Fort Water Supply Redevelopment projects, which come at a US$14.8 million price tag, will finally end the acute water shortages plaguing the country. “I mean for now, in 2015 people have water once a day or once a month. I mean that’s like really backward for a country that has the latest cars and all of that. I think that for basic things like water, that’s not good,” said Mary Isidore. Citizens like Charles James say access to water is a fundamental human right and one that every national should enjoy in 2015. “Many people are struggling for water. Thousands are struggling for water so if they fix it up and 20,000 get water, it will be a good idea. People will be able to wash their clothes and do what they want with it,” he said. The island’s main dam usually supplies residents in the island’s north with 10 million gallons of water every month. However, following natural disasters, the dam’s capacity cuts by half. Officials of the Caribbean Development Bank say the rehabilitation works are essential as the lack of a reliable water supply could have ramifications for the economic and social infrastructure of Saint Lucia. ““We are pleased to support these two projects, which, when completed, will improve water access for the people who need it most and stimulate economic growth and social development in Saint Lucia,” said Andrew Dupigny, division chief at the Bank. Through the projects, the bank will help the Saint Lucia Water and Sewerage Company prepare to address climate change challenges such as increased frequency and severity of droughts and heavy rainfall events.